This unique Quilt Design and Fabric Estimating Calculator is the first of its kind and is distributed by Ascot Lane. 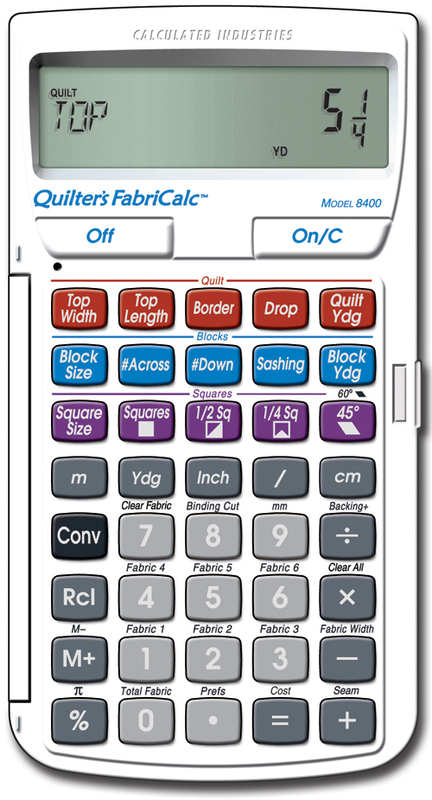 Designed by a quilter, this calculator makes converting your ideas into Yards, Inches or Metric measurements easy with built in solutions. Find total cost for material.